EverString is a lead generation and scoring software with marketing automation tools designed for business-to-business (B2B) companies. Its features include sales prospecting, demand generation, prioritization of high-valued prospects, and more. In this article, we cover EverString reviews and pricing. Ready to get started? Request a demo. Users who gave EverString a positive review said that it offers effective lead scoring tools, which help them find the best company matches based on the results. Some of them also commented that they use it to prioritize accounts for sales and marketing outreach. Users who gave EverString a negative review reported that it is not useful for volume-based lead generation. Some also reported that its third-party integrations don’t always work effectively. EverString doesn’t publish its subscription options on its site and utilizes a customized pricing scheme. However, pricing for software similar to EverString ranges from $9 to $30 per month for the basic platforms while more premium and extensive ones usually range from $100 to $300 per month. 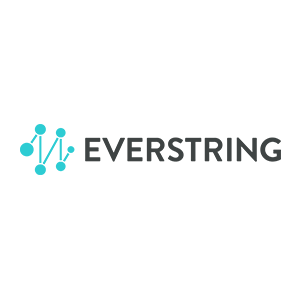 EverString pricing is available upon request. Ready to get started with EverString? Request a demo. 13 Best Lead Generation Software for Sales 2019: Businesses use lead generation software to capture a lead’s information ― usually from a website ― and then build a database of contacts for the purpose of qualifying and converting those leads to customers. In this guide, we compared 13 best lead generation software, in terms of price, ease of use, integrations, and more. How does EverString help B2B professionals find targeted prospects? 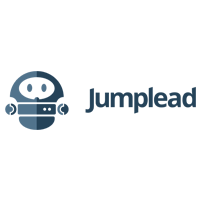 EverString uses artificial intelligence (AI) to help sales and marketing professionals find prospective companies. This enables them to identify their target market easily, conduct sales prospecting, and improve their pipeline. It also offers lead scoring tools to help businesses focus more on high-value targeted prospects. How can EverString ensure that the leads are within their area of operations? EverString employs advanced AI technology to ensure that account selection will be within the total addressable market of the business. It also allows the use of proprietary filters and lead identification to provide a more convenient way of doing account-based marketing. Have you read these EverString reviews and are still not sure if it’s the right fit for you? 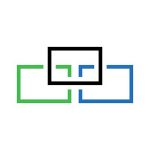 Read our reviews of all top lead generation software or check out one of these three EverString competitors. The deployment process and customer service are excellent. We had a lot of questions and they provided a lot of attention to detail in their responses. The platform itself was excellent for us, esp at the juncture we bought it at. We were just starting to try to be targeted at the Account level with our marketing/sales efforts, and EverString was an extremely helpful guide for us in that regard. Really, our biggest issue was that the populating of Lead and Contact data directly into the CRM. Initially, we attempted to use the platform as an Account selection tool and a Lead database. The reps reported some old data, and we found more benefit to populating Accounts thru ES and using other vendors for actual person data. As mentioned above, I just wished we’d known that it’s not ideal for populating Lead data en masse. It works just fine for individual reps adding records while prospecting, but if I’d known that I’d run into issues pulling large lists, I’d have jumped on getting another data vendor simultaneous to deploying ES. EverString offers a comprehensive platform with a strong technology footprint as an account based marketing strategy platform. The account team and technical support is first class and very responsive. The solution has very strong analytics capabilities and insights dashboards available. It is truly a crucial tool for your team’s account based marketing strategy, and immediately delivers value. The usage rate versus priced paid for EverString has not been balanced on occasion, as it is difficult to justify spend on the tool amidst actual usage and adoption within the organization. There also needs to be more comprehensive data sets for international clients. I wish I had better training on how to properly populate leads to CRM through EveryString, since it is currently very challenging.